Our neighbors at St. Pius Church are in crisis mode. They are housing and feeding 180-200 immigrants at the Benedictine Monastery daily. They expect this number to increase in the coming weeks, and requests for help have been sent out to local organizations and churches. These individuals have been released by Immigration and Customs Enforcement (ICE) and are staying at the Monastery until they can travel to the homes of their sponsors. Help is needed preparing, delivering and serving lunch and dinner. Additionally, there is a need for used, good- condition clothing (men, women, children and infants), and chap-stick. Needed kitchen items include sandwich bags, disposable coffee cups, soup bowls and spoons. We have set up two special collection boxes in the Narthex. Collected items will be delivered to the Monastery as soon as they become available. LOG has committed to preparing/delivering shredded chicken and serving dinner on Saturday, April 27th. On Saturday, May 18th, we will prepare/deliver two huge pots of homemade vegetable soup for the May 19th lunch. Making soup might be a good teen and family project – there will be a large amount of vegetables to prepare and cut. We are unsure if this project will continue at the Monastery after May, and we will announce additional dates once a final location decision is made. A sign up sheet for these two events is on a table in the Narthex. 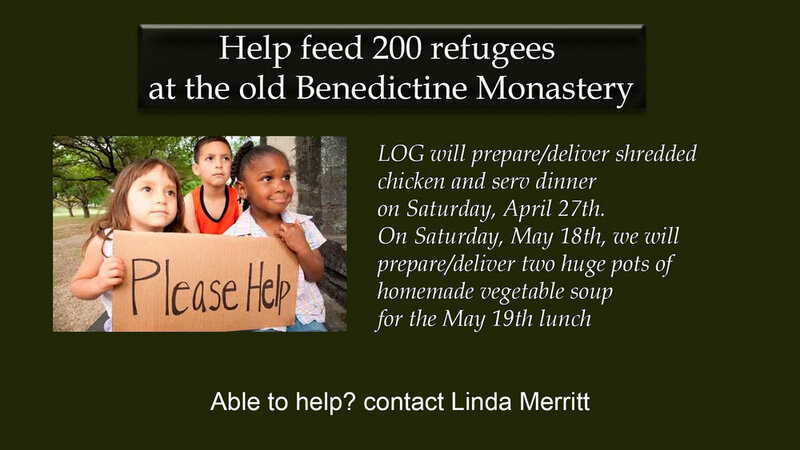 WE NEED YOUR HELP - this is a wonderful opportunity for all of us to be involved – you can help prepare the meal in our church kitchen, deliver the meal to the Monastery and perhaps stay and help serve. And, don’t forget that you can also help by donating needed clothing and kitchen items. Please contact Linda Merritt (520-638-8366 or linheavenonearth@aol.com) with questions and for additional information. The proof of love is in the works. Where love exists, it works great things. 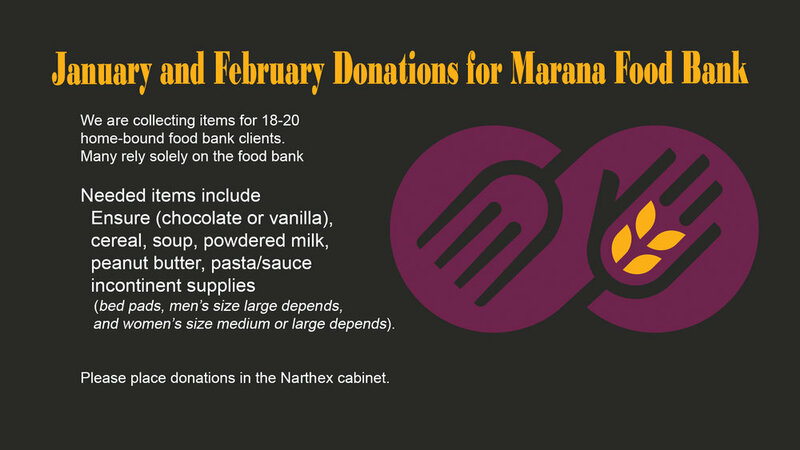 February Donations for Marana Food Bank. We are collecting items for 18-20 home-bound food bank clients. Many do not have family in the area and rely solely on the food bank for food and incontinent supplies. Needed items include Ensure (chocolate or vanilla), cereal, soup, powdered milk, peanut butter, pasta/sauce and incontinent supplies (bed pads, men’s size large depends, and women’s size medium or large depends). During 2018, LOG donated 412 pounds of food – thank you everyone who helped feed our neighbors in need! 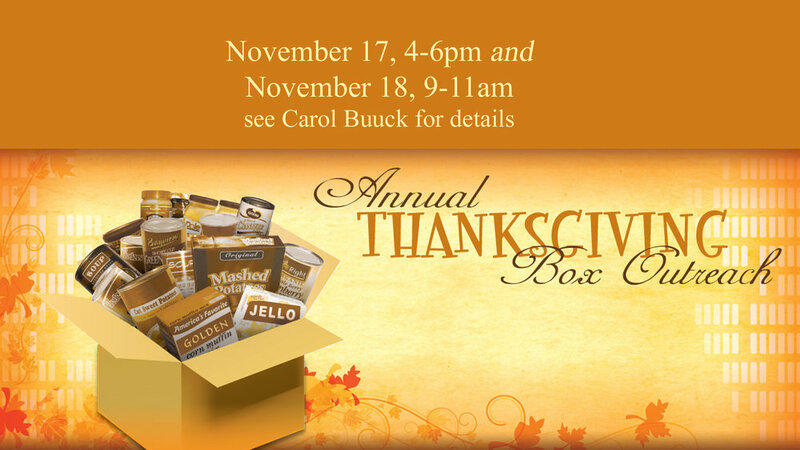 Please place donations in the Narthex cabinet. 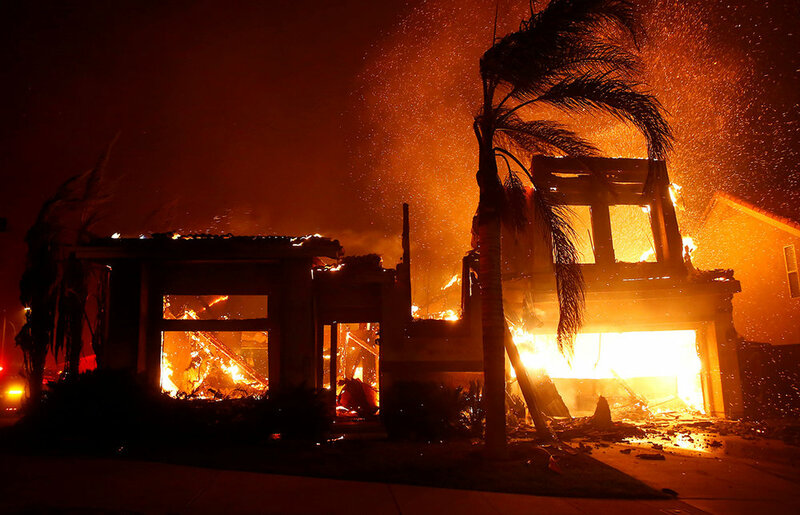 Wildfires are raging across California, destroying thousands of homes and wiping out the town of Paradise, located north of Sacramento. Multiple deaths have been confirmed and large-scale, mandatory evacuations are in place for multiple communities across the state’s impacted areas as first responders work to gain control of the fires. 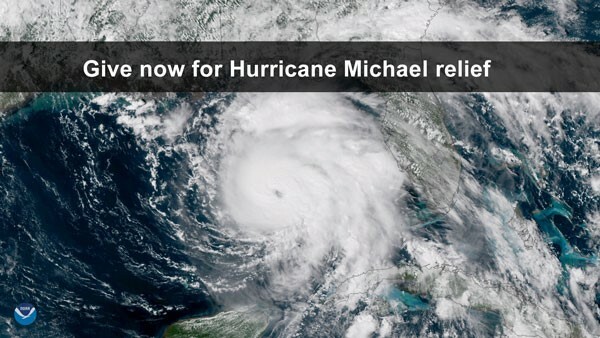 Gifts to Lutheran Disaster Response designated for "U.S. wildfires" will be used to help those affected by wildfires until the response is complete. Together, we can help provide immediate and long-lasting support. Please give today. 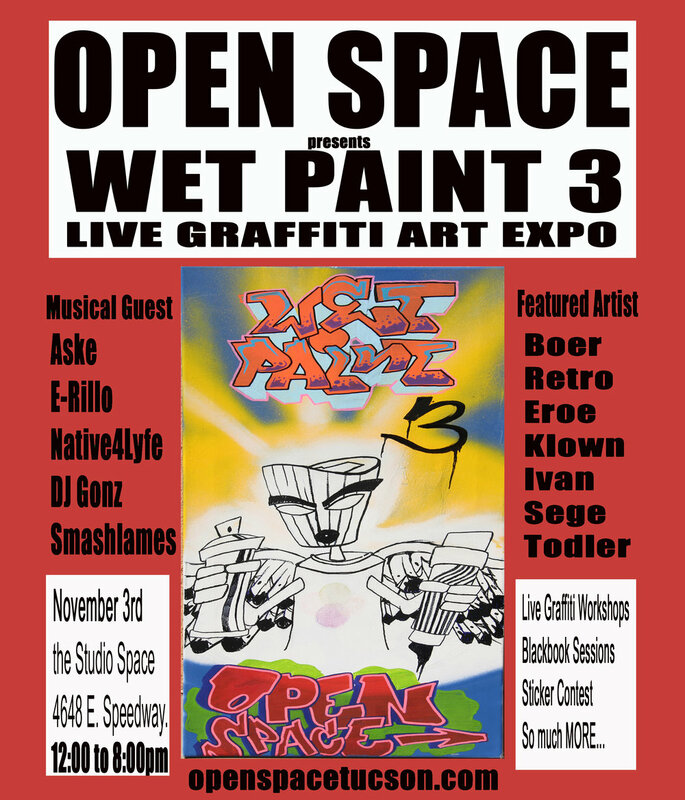 Open Space Church, the newest ELCA church plant in Tucson, invites you to a live graffiti expo on November 3rd, from 12noon-8pm. It will feature live graffiti art painting, marker drawings, sticker and black book tables. Also, several DJ’s and hip hop artists have volunteered, including Aske and Native4Lyfe. Includes original work by Open Space members Citizen Klown, Arsin, and Ivan. At 4648 E. Speedway (the SW corner of Speedway and Swan). 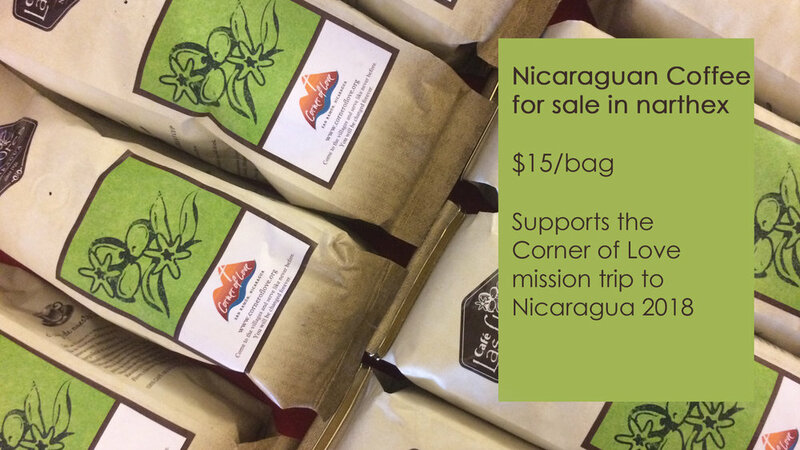 The Nicaragua mission team is planning an authentic Nicaraguan dinner as a fundraiser. Dinner is $15.00 for adults and $10.00 for children. Starting in January, tickets can be purchased after services, or you can email or call the church office to place your order. Pack Thanksgiving Boxes for the Marana Food Bank. The outreach committee is planning a 2018 mission trip to Nicaragua, to work at the free clinic Corner of Love. If you are interested in learning more, join us for this informational meeting on May 21, at 11:30am (after the 10:30am service) in the fellowship hall.